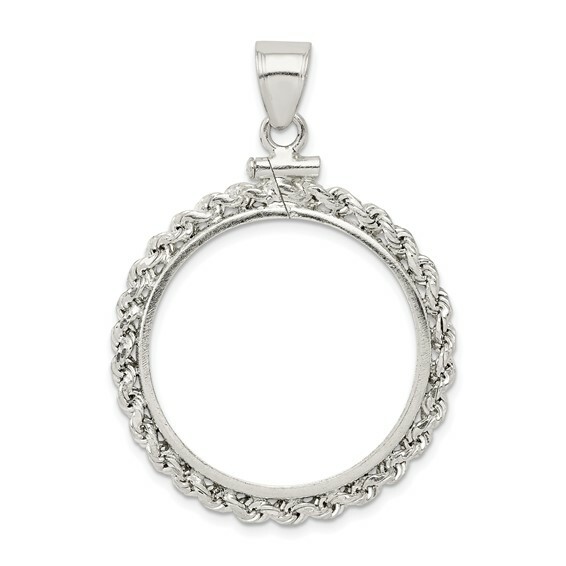 Susan B. Anthony rope coin bezel pendant is made of sterling silver. Screw top. Dimensions: 26.4mm x 1.8mm. Weight: 3.72 grams. COIN NOT INCLUDED.